Pest description and damage The linden aphid is green with black lateral stripes. 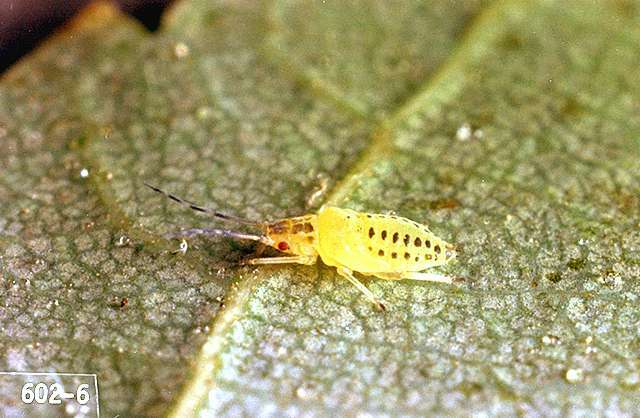 The aphids feed in colonies on the undersides of leaves. Feeding damage to the plant is usually minor, although some leaf and shoot distortion can occur if populations are high. This aphid also produces honeydew, which is a nuisance when it falls on cars or other surfaces. 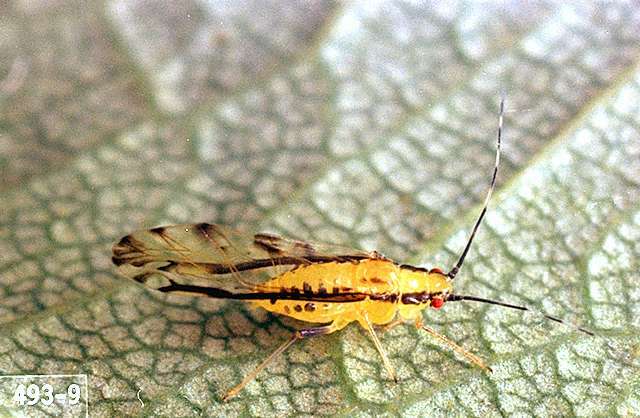 This aphid may be controlled by releasing parasitoids.